Extravagant and radiant, the Excalibur by Roger Dubuis features an automatic movement with a 48 hours power reserve. 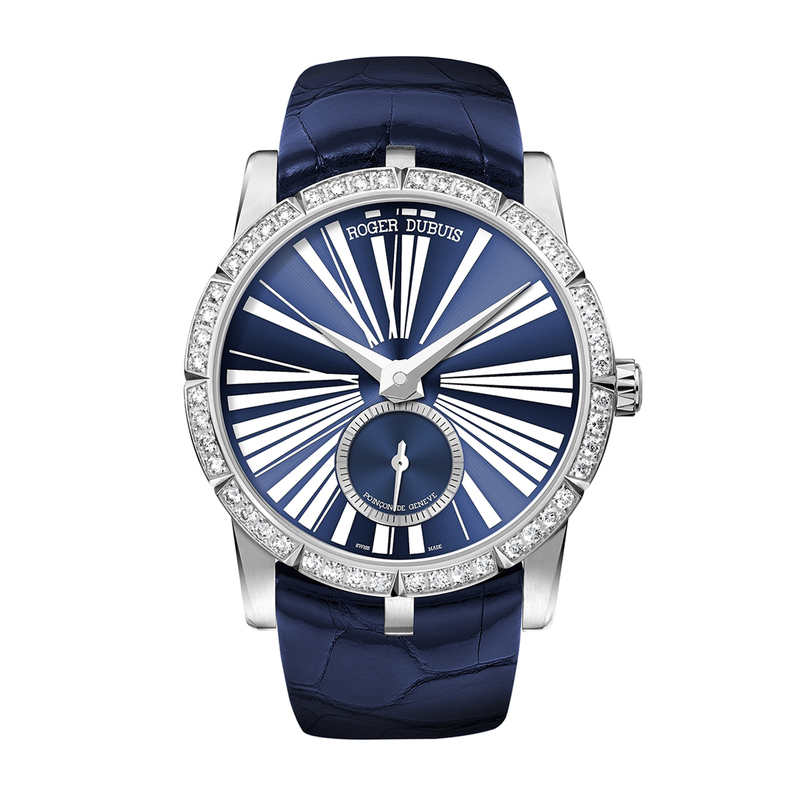 The stainless steel case features a blue satin sunburst finish dial with white Roman indices. The bezel is set with 48 brilliant white diamonds, the small seconds are located at six o'clock. The Poinçon de Genève stamp, guaranteeing the very best in watchmaking as well as a blue alligator strap with a stainless steel folding clasp and add the finishing touch to this watch.